It was a feeling of general size. The wire is in the place where it hangs on the nose. I think cheap is good. My sister who is allergic uses it every day. I also bought a box from this time because the unit price is cheap and I use bang. At the time of cleaning and dusty work. So far, I have used the Monotaro 4 layer mask, but when I run around, it gets painful and I'm out of breath, so I ordered a 3 layer mask except one. I tried to wear it immediately. It is amazingly easy to breathe, No matter how long you wear it will not bother you. I think it would have been better to make a 3-layer mask earlier. Even though I came home, I was wearing it and I was about to forget. It is recommended. I am white and my wife wears pink when I go out. Even if I wear it for a long time, my ears won't hurt, and I think that it is a solid product for the cheap. The other day, I added one more order and secured one year. This review is about item#18850117. I feel thin and thin because the price is cheap. Feeling a bit unreliable? ! It is good while being disposable. Do you need to improve the gap between the nose and cheek because the nose is large? 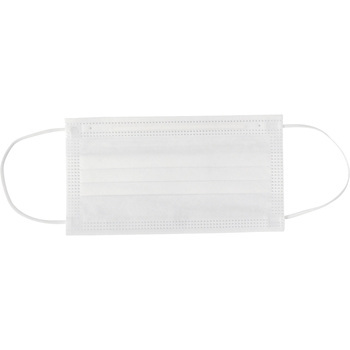 It is saved because it is cheap but the quality is good.某 At the same price in mail order, it is a great satisfaction compared to the mask you want to see tissue paper. It is cheap and the quantity is also included. There was no problem at all in terms of quality. We are very active in the pollen season. When working with sheet metal, of course in winter it is for cold prevention and influenza prevention It is useful. Because we are inexpensive, we need our number, and we are saved.